Francis Gerard Brink was born in Marathon, New York on August 22, 1893. He was a loving man, married to a Miss Florence Tryon Roos Brink before joining the military. After studying hard, he recieved his B.A. from Cornell University in 1916. Francis was then commissioned into the Infantry, Officers Reserve Corps in 1917. After graduating Brink then worked as an instructor at the Infantry School between 1921 and 1923. Francis then worked as the Assistant Professor of Military Science and Tactics at Louisiana State University between 1928 and 1934. After graduating from Command and General Staff School in 1936, he then became the commander of 31st Infantry, located in the Philippine Islands between 1938 and 1941. There it can be assumed that Brink was one of the soldiers that helped train the Philippine Army. Shortly after Brink turned 51 he was promoted to a Brigadier General in November of 1944. Francis Brink worked as the Chief of Operations Division of the Southeast Asia Command 1944-1945. In 1950 he was appointed to be the chief of the Military Assistance Advisory Group and remained chief until his death on June 24, 1952. 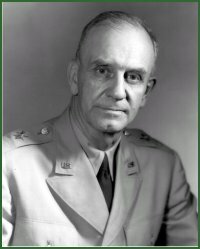 On July, 31 1952 General Brink was replaced with Major General Thomas J H Trapnell as the chief of the advisory group. For the United States Army and other military operations, a brigadier is a general officer who ranks above a colonel, but below a major general. Francis Gerard Brink was a decorated officer, including the Distinguished Service Medal, two Legions of Merit, the Commendation Ribbon and a Purple Heart.